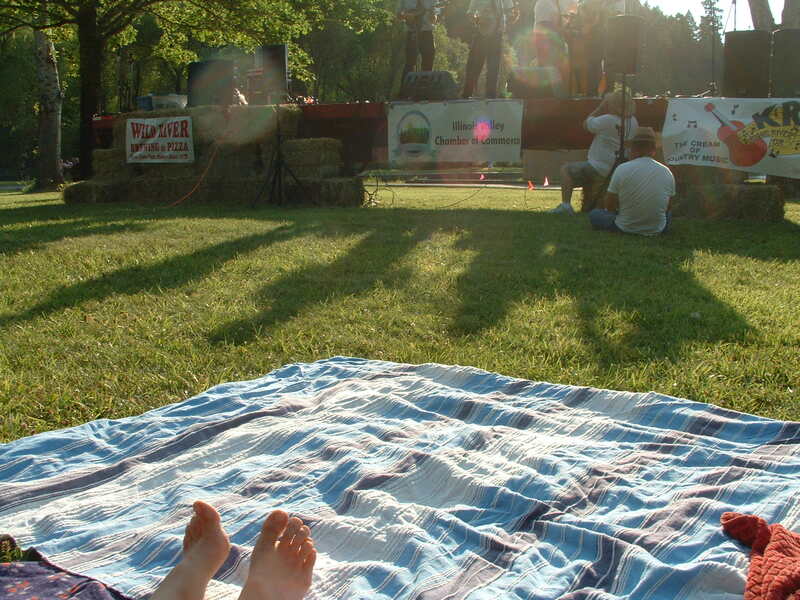 This is the official page of the 8th annual Siskiyou Folk and Bluegrass Festival. Stay tuned for updates on this years festival, to take place Saturday July 16th at Lake Selmac, Oregon. The Siskiyou Folk and Bluegrass Festival has featured many national acts (Laurie Lewis, Wayne Benson) as well as regional acts (Jefferson, The Mighty Lonesomes, The Goldman Family, Seqouia, Finger Pickin Good, Eight Dollar Mountain) and is an all ages fun event for the whole family! This years lineup to be announced very soon along with many other exciting additions for 2011! This entry was posted in Uncategorized and tagged bluegrass, lake selmac, siskiyou bluegrass festival, siskiyou folk and bluegrass festival. Bookmark the permalink.